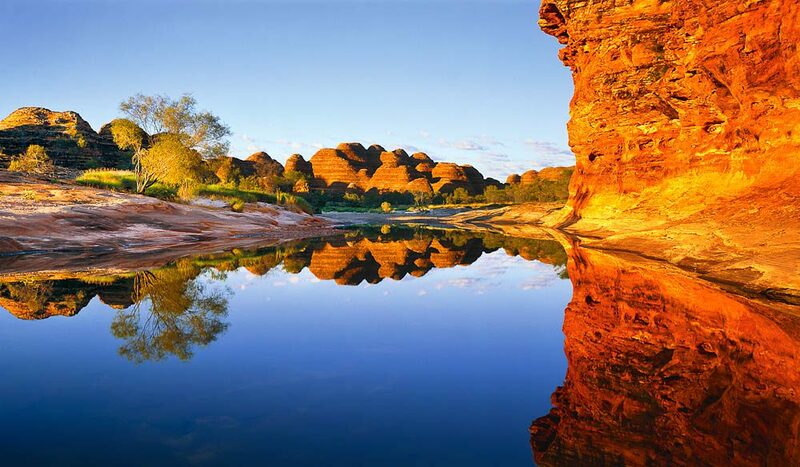 This picture was captured at the end of Piccaninny Gorge, which visitors can access on a hike of two to seven days via spinifex-covered grasslands and a lookout over the domes. Walkers must be fully prepared as they’ll encounter fallen boulders and loose rocks, and there is no reliable drinking water along the way. Register at the visitor centre for more info.